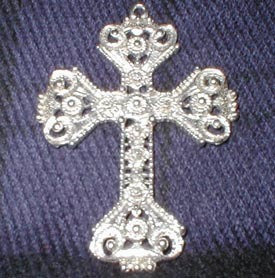 This cross is probably of "Italian" design and was worn by the upper middle class and the Clergy during the Renaissance. It measures 3-1/4 by 2-1/4". Cast in pewter.